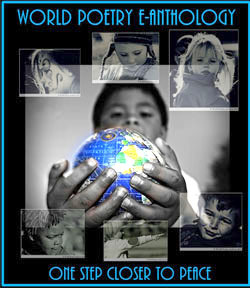 World Poetry Celebrates Poet and Musician Nick Curl! Ariadne’s Notes: On September 6, the World Poetry Café , CFRO, 100.5 FM, Welcomed the poet, musician and cartoonist, Nick Curl to the show. A wonderful interview of Nick’s music, his answer to a question by a 12 year old living in Japan about how to get started in cartooning. Also, a Miracle poem by Monsif Beroual from Morocco. 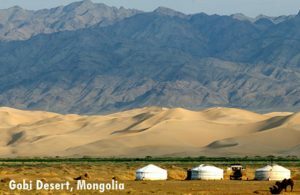 World Poetry Director Vani Pradeep from India sent another motivational segment and Jeanneclaire Probst , World Poetry Correspondent sent another poem. Included was another story from the Big Bessie Series by Sharon Rowe. Victor Schwartzman was away but the technical controls were kindly supplied by Kerry Buckner with our great thanks. HERE IS THE RADIO SHOW! Currently resides in Pittsburgh, PA. I create animated poems primarily meant for young children but can be enjoyed by people of all ages. Some poems are designed as “feel good” stories and may be used to provide teaching points for young children about how to interact with others in a positive way. In such cases a main character finds themselves in a difficult situation requiring assistance. Someone provides assistance and a new friendship is created. These poems attempt to convey three positive concepts: recognizing when someone is in need of help; performing an act of kindness; and developing friendships. Each poem consists of two parts: text and video. Although the text can be presented as a stand alone poem, the video provides a necessary part of the overall story. 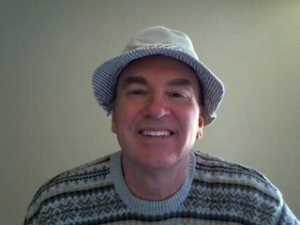 Still very much an amateur in both songwriting and poetry, I continue to seek out opportunities to connect with other like-minded people who share my interests in animation and music – two enjoyable areas of entertainment. A honey bee buzzed right by me and nearly knocked me down. But then she circled back to see that I was safe and sound. And as she told me of her plight her eyes began to tear. It soon was clear, as she drew near, that she had much to fear. “You need not take another step.” said I to the bee. With no delay she lead the way and took me on a run. And when we arrived I saw the hive lying in the sun. Where never will another wind dislodge it from its place. So now the bee and family are safe once again. And on this day, I’m glad to say, I’ve found another friend. This entry was posted in Ariadne's Notes, E-Poets, Featured musicians and artists., Featured Poets, General and tagged Author Sharon Rowe, International Peace Award Ariadne Sawyer, Jeanneclaire Probst, Kerry Buckner, Monsif Beroual, Nick Curl, Vani Pradeep on September 11, 2018 by Ariadne. World Poetry Celebrates the Great Scott Reeves! Ariadne’s Notes: The World Poetry Café Radio Show on June 28, 1-2 pm PST on CFRO 100.5 FM with the team of Ariadne Sawyer, Producer and host, Victor Swartzman , super tech and Sharon Rowe special volunteer welcomed the e-Poem section by Ahmad Al-Khatat. He was born in Baghdad on May 8th. From Iraq, he came to Canada at the age of 10, the same age when he wrote his very first poem and also Md Khalilur Rahman, a published poet from Dhaka, Bangladesh with a love poem. We also welcomed the wonderful and talented creators from three disciplines, animated poetry, Nick Curl, Jazz musician and educator, Scott Reeves with his new CD Jazz Orchestra’s Without a Trace . Media courtesy of Braitwaite and Katz .The amazing actress Niketa Calame with her words of wisdom and answer to a young actor from Nigeria . I am featuring each featured guest separately on this site to give them more exposure. This feature is for the wonderful musician and educator Scott Reeves. 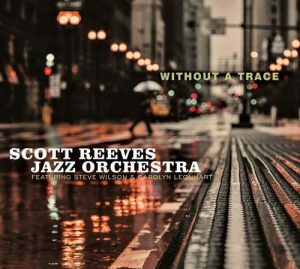 The Scott Reeves Jazz Orchestra celebrates its first decade on Without a Trace from Origin Records. This17-piece big band’s second release features a stellar line-up of New York City jazz greats on bandleader/composer/trombonist Reeves’ vibrant originals and reimagined jazz classics. Scott’s two books, Creative Jazz Improvisation and Creative Beginnings (both published by Prentice-Hall), are among the most widely used texts in their field. They have been used in the USA at schools such as the University of Southern California, University of Texas, Cincinnati Conservatory, Rutgers, William Paterson University, City College of New York, Georgia State University, Philadelphia University of the Arts, Temple University, Miami/Dade College and High School for the Performing Arts, University of Minnesota, and Berklee. In Europe, they have been adopted by academies such as Brunel University in London, The Royal Conservatory in Brussels, and the Università della Musica in Rome. 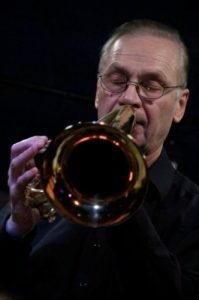 Scott has also written eleven articles and papers on jazz; his article on jazz arranger Gil Evans was the feature story for a 1995 issue of Jazz Educators Journal. His compositions and arrangements for jazz ensemble are available from Reebone Music, Aebersold Jazz, and UNC press. *Source: Katherine Growdon, Braithwaite and Katz with thanks. This entry was posted in Ariadne's Notes, E-Poets, Featured Poets, General and tagged Ahmad Al-Khatat, Author Sharon Rowe, Braitwaite and Katz, International Peace Award Ariadne Sawyer, Katherine Growdon, Md Khalilur Rahman, Nick Curl, Niketa Calame, Scott Reeves, Victor Schwartzman on July 1, 2018 by Ariadne.